Rugby is and always will be my game. However, since we attended two Confed Cup games in 2009 and 11 World Cup 2010 games back in South Africa, the family are all huge soccer (I know its football elsewhere) fans. 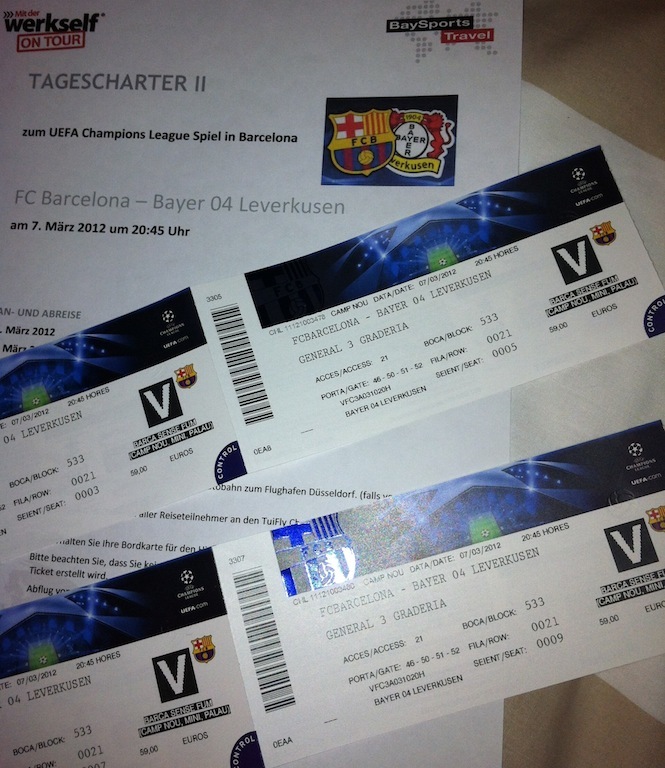 And with three Barcelona and one Leverkusen supporter in the family, the Champions League draw earlier this year played so well into our hands when the draw resulted in Barça versus Leverkusen. For the not informed, this means an away and a home game between these two teams. Leverkusen is to Köln what Centurion is to Pretoria, thus sort of our local team. 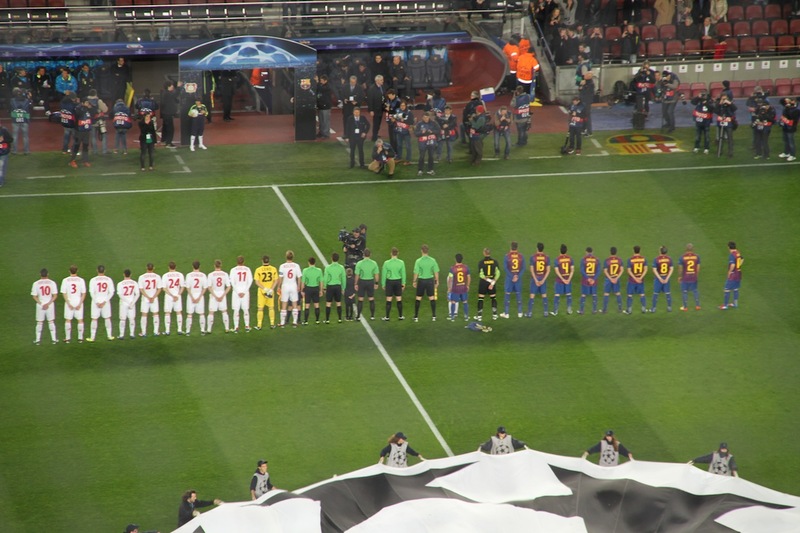 In February Barça won their away leg in Leverkusen 3:1. After an evening of rock and general ‘being proudly South African’ in the performing company of Prime Circle (and a guy wearing a Cheetah rugby jersey) in the Blue Shell, Köln, we joined three planes full of Leverkusen supporters on Wednesday morning 07:15 en route to Barcelona for a day trip. 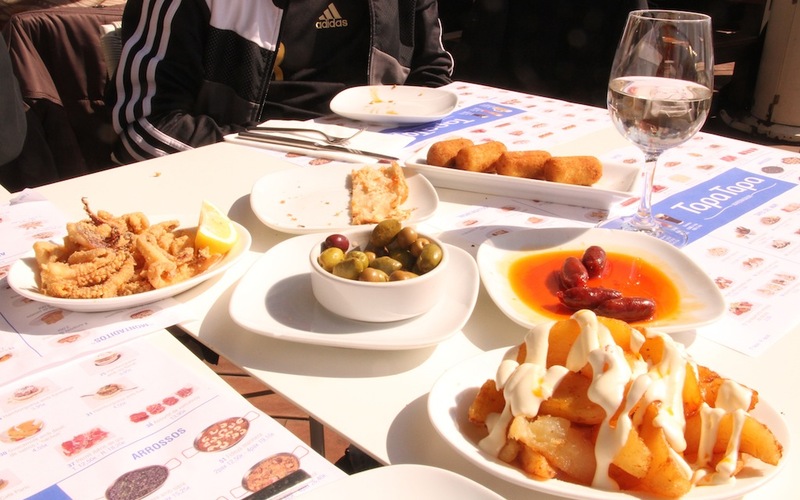 Arriving at lunchtime, it was fortunate that we could spend the afternoon strolling the streets and La Rambla. was the logical choice. With a view over the harbour, the sun in our eyes and many foreign languages around us we sucked in the lunch feeling of one of Europe’s (and the world) great cities. Summer in Europe is drawing nearer and getting the feel in the few-degrees-warmer-than-Köln Barcelona enthused us to look forward to the evening’s Camp Nou experience. After strolling the downtown streets and before departing for Camp Nou we had to sit down in La Rambla for a ‘quick’ beer. 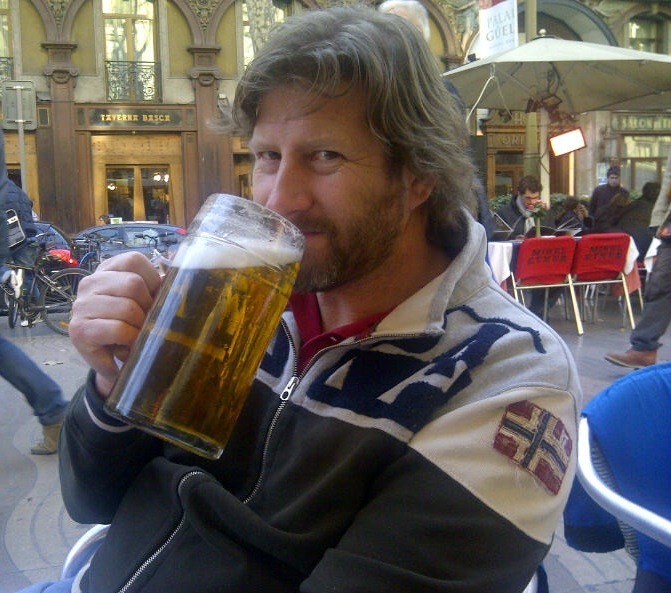 Be warned, when you order a beer you should specify the size required! And then we headed towards Camp Nou; the iconic Camp Nou which is the home of greats such as Messi, Xavi, Pique, Puyol, Fabregas, Iniesta, Alves, Guardiola to name just a few. Remember that we bought our tickets and transfers through the Leverkusen (the opponents for the day) travel agency and were thus transported as Leverkusen supporters. In Europe in soccer, this has certain implications, which we thought about but who’s significance we did not understand. It can even become dangerous to be a supporter of the other team if you’re in the wrong place. 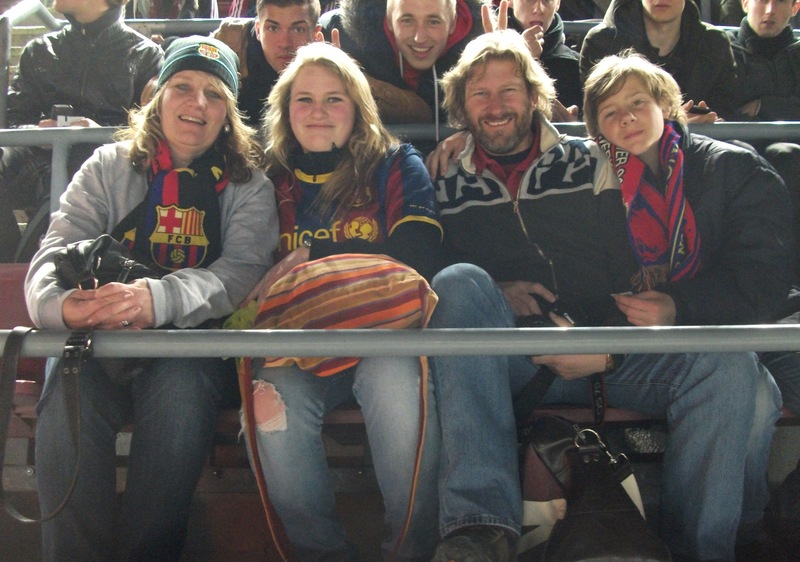 Fortunately no conflict other than raised eyebrows was bestowed on us, wearing Barça shirts amongst the Leverkusen fans. However, arriving at the stadium, Camp Nou, the Leverkusen buses were waved into a ‘secure’ drop-off zone, and we were at first not allowed to leave this area and group. It means there are a physical separation between the Leverkusen fans and the rest of the stadium. Fortunately Heleen can negotiate well and she was able to convince the policeman that we are Saffas and Barça supporters just traveling on Leverkusen terms so he let us through and we were able to stroll the streets and stalls around the stadium as ‘free citizens’. And then it was the game! The biggest game you’ve ever seen! I’m proud, privileged and truly glad that I can say that we have seen a world-class performance of an unrivalled Barça team that evening. 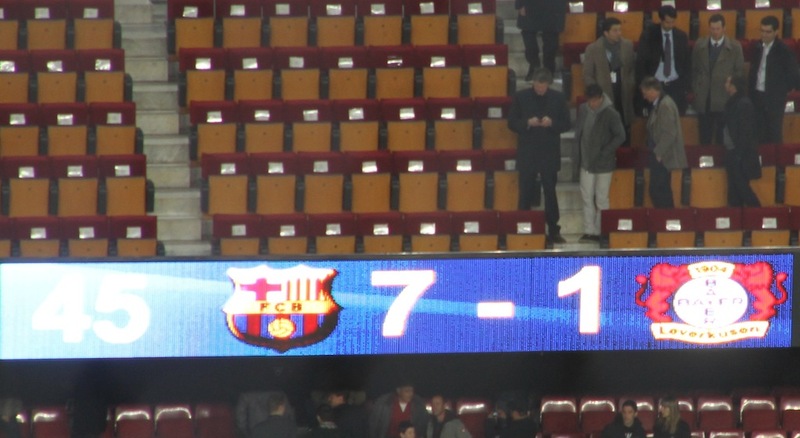 Systematically and clinically they took Leverkusen apart to lead 2:0 at half time and to finish as 7:1 winners, which included a superb 5 goal haul for ‘la pulga’ (flea), Lionel Messi, and 2 brilliant Tello goals. At the 2010 World Cup we were at the 4:1 drubbing of England by Germany in Bloemfontein as well as the Spain beating of Germany 1:0 in the semi-final in Durban, which were both great games. But this Barça performance and being part of this piece of Messi magic was something I will never forget. So great was the performance that even the Leverkusen supporters later honoured Messi with standing applause as he scored, and giving us friendlier smiles as if to acknowledge that tonight, only tonight, it was OK to wear Barça supporters attire. The conflict and fighting at soccer matches are well documented and televised and is a huge headache to police. Though there was none of this at Camp Nou that evening, as a precaution the visiting team has fenced in seating, complete with nets in front of you so that nothing can be thrown onto the people in front of you. After the game, we were held back for 45 minutes, to allow the Barça supporters to disperse before we were allowed to leave our seats. Our flight back was scheduled for 03:40 so we had time for a late dinner in Barça before heading for the airport and trying our best to get some sleep on the hard airport seats and floor. Next day was a normal school day for the kids, thus every minute of shuteye was important, though Cara was so excited with her team’s performance she couldn’t sit and sleep, but wondered the corridors of the airport smiling instead.